Companies have long turned to the military for inspiration for their organizational design, but they only copied the obvious half: hierarchy. That was enough to get by in the past, but it is now time to look closer at the real source of an army’s effectiveness. From the mid-1800s, Western companies started adopting hierarchical structures, starting with US railroads but spreading quickly into other industries. These became increasingly top-down, and regimented in line with the perception of how military hierarchies achieve their efficiency. Before long, hierarchical structure became simply “the way it’s done.” Any MBA will tell you so. And it works. As Hillary Sillitto points out in “Architecting Systems”, his wide-ranging guide to designing for complexity, armies are only hierarchical in peacetime, when the environment is fairly stable. In wartime, the most successful armies transform themselves into something much more fluid. After all, if communications break down or an unanticipated situation arises, you can’t have junior leaders not knowing what to do. I think that in our fast-changing commerce world, it pays to look closely at military organizations for a more nuanced understanding of how they work. For a start, everyone in the wartime unit is very clear about the goal (“we’re going to take out that bridge.”) This is referred to as understanding “commander’s intent.” Everyone also has a shared set of values, the accepted rules of behavior both formal (the Geneva Convention) and the informal (“we never leave our people behind.”) They have information and peer-to-peer communication. Beyond that, each individual is fairly free to improvise whatever steps are needed to get to their goal, as long as they conform to the value system. This practice is called “mission command,” and it underpins achieving resilience alongside agility. As an organizational consultant, I see firsthand how retailers are struggling to make their hierarchical organizations more fluid. The retail environment is changing fast, cross-channel journeys are increasingly crucial, and traditional management methods simply can’t keep pace. International expansion leads to geographically distributed teams while the shrinking, consumer-driven world demands an ever more unified customer experience. Retailers know they need to devolve decision making, but are finding it hard to do this while maintaining brand consistency and operational coherence. 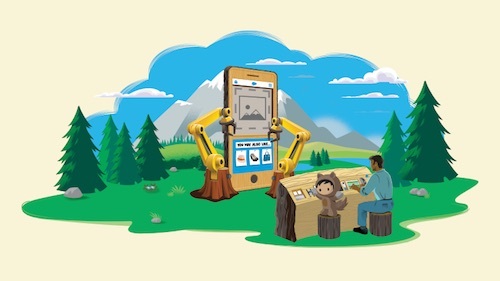 Last year, I was given a ringside seat to experience one approach to the agility problem when Salesforce acquired my employer Demandware, now known as Salesforce Commerce Cloud. Soon after the announcement, I read Marc Benioff’s book “Behind the Cloud,” about how he and his team built Salesforce into the world’s fastest-growing enterprise software company in less than a decade. I was intrigued. Here was an organization that had been designed to be agile, and the approach Benioff described echoed in many ways the adaptive and flexible approach that Sillitto explains had evolved in military organizations to confer resilience in uncertain situations. 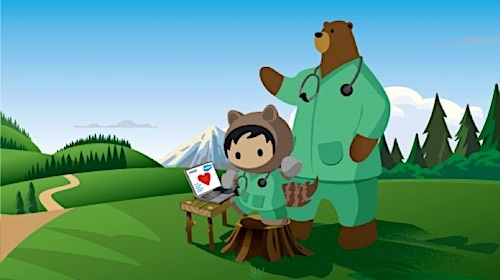 Mission command looked like a framework to understand why Salesforce’s organizational model has been so successful. 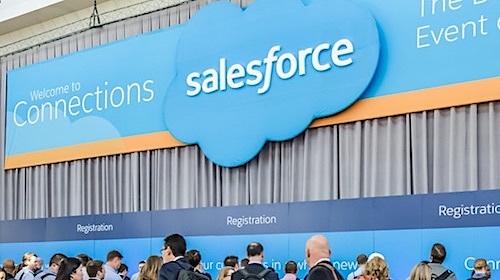 Salesforce’s hierarchy is fairly flat, and is predominantly used to drive a powerful process and tool called V2MOM, which ensures that every person’s goals are aligned with everyone else’s, across every level in the company. The company also has an extremely strong focus on its corporate values, which are reinforced frequently and consistently both internally and openly to the outside world. Culture is seen as paramount. Outside of this, people have freedom to define the methods they will use to arrive at their goals. Tools promote knowledge sharing and cross-functional collaboration. The outcome, from what I’ve seen, is that the company seems able to reorganize and refocus extremely rapidly for a company of this size – more than 25,000 strong. Salesforce is open about its methods, so you can implement them too. Our retail clients have unique operational challenges, but similar management ones in transforming their organizations to cope better in a fast-changing world. I suggest that military organizations have evolved to deal with similar challenges to the ones we face in business today, and we can learn from them. Copying the military hierarchy might not be such a bad idea if we do it properly, and aim for resilience and agility rather than command and control. Is this “wartime” for retail? No, but the industry is being irrevocably upended by forces largely out of its control, with new winners and losers emerging almost weekly. 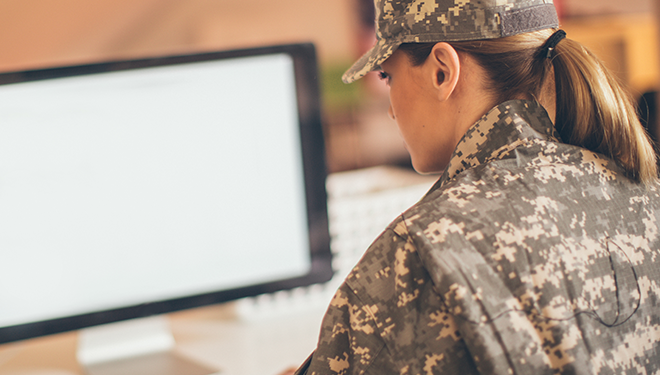 Retailers would thus benefit from observing the malleability of military organizations. In the meantime, the Retail Operations Canvas can help. It’s a tool that visually captures the key operational steps involved in a successful retail enterprise, providing an extended view of the traditional product-centric value chain, and offering a more holistic, customer-focused approach to operational activities. By eliminating job titles and hierarchy from the equation, we help you focus on capabilities, decision points, and workflow while revealing the impact of any proposed changes.